I love my accessories, and I'm one of those people who always wears a watch everyday. Needless to say, whenever I'm in the market for a new watch, I'll look for one that is both stylish and functional. 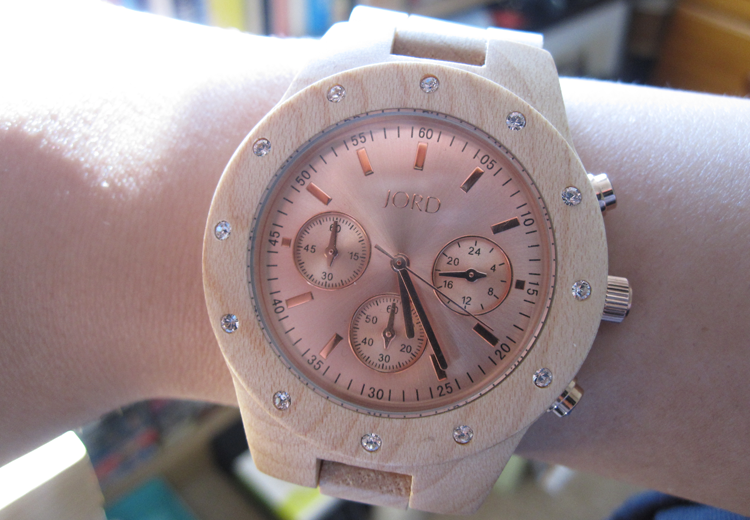 My new arm candy is from JORD, an American based company who specialise in watches made of wood and ship worldwide. They kindly contacted me to ask if I'd like to review one of their watches, and after browsing their website, I happily said yes! 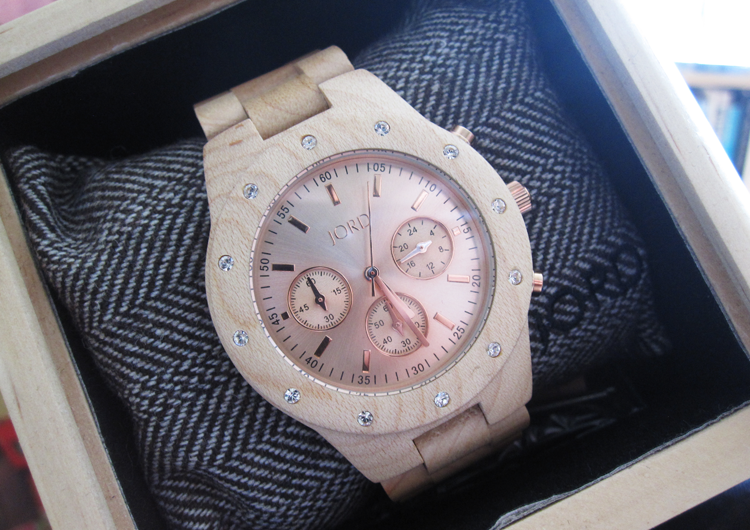 From the Ladies range, I chose the Sidney Maple & Rose Gold Watch* which features a large rose gold coloured face that is adorned with Swarovski crystals around it and it has a maple wood exterior and wristband. The watch is surprisingly lightweight (for some reason I had in my mind that it might be quite heavy and chunky being made of wood but quite the opposite! ), and feels comfortable to wear. 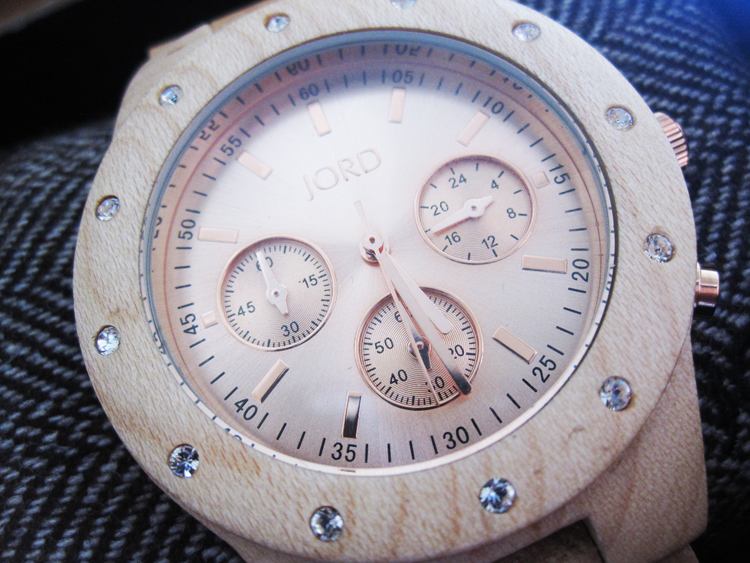 JORD offer a service where they can resize the watch of your choice to your own wrist, so it'll fit perfectly when it arrives which is what I found when I tried mine on. I also love how the rose gold look like it changes when it's in different lights as you can see above. I think this is a lovely statement piece as I like my watches to do all the talking and I've received so many compliments from friends and colleagues since I've been wearing this. Obviously, if you prefer something smaller and discrete, JORD have a good selection of those to choose from as well and these would be especially perfect for those who are looking for a leather alternative e.g vegans and vegetarians. 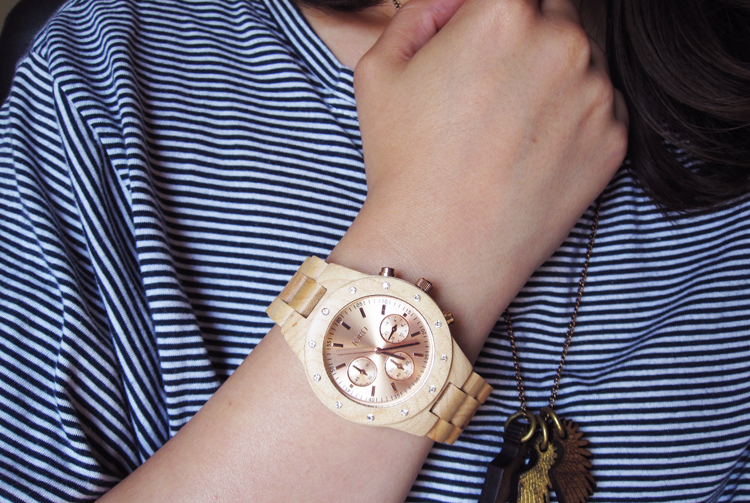 What do you think of 'wooden watches'? Do you wear a watch? I've seen these going around recently, it looks GORGEOUS! I didn't even think about wood being a great alternative to leather - great thinking Batman!